* If you don't have an Intel C5SoC board yet, please check out our VEEK-MT2-C5SoC. The Video and Embedded Evaluation Kit - Multi-Touch for C5SoC Upgrade Kit, Second Edition( VEEK-MT2-C5SoC Upgrade Kit ) offers customers who already own an Intel C5SoC board a brand new integrated platform to develop various embedded applications. 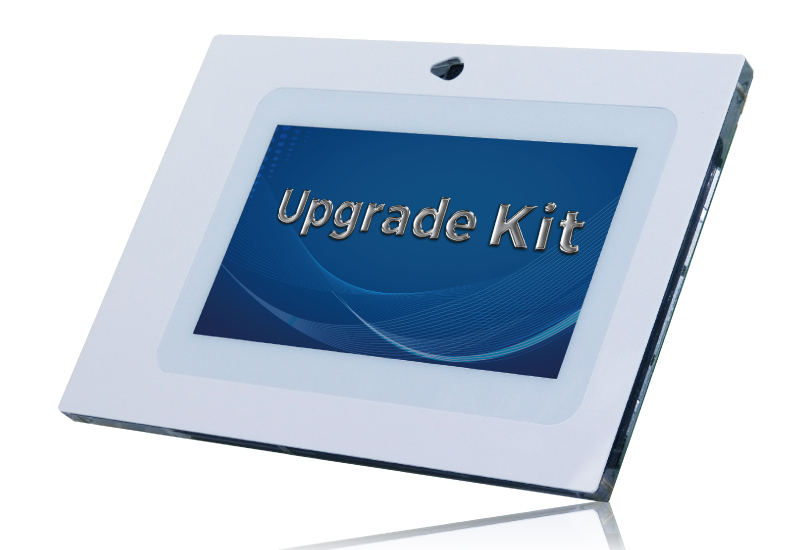 We provide simple and straightforward installation guidelines for users to assemble their already owned C5SoC with this upgrade kit. With upgrade kit installed, this bundle also known as VEEK-MT2-C5SoC features an Intel C5SoC development board targeting the Cyclone V SoC FPGA, as well as a capacitive 7” TFT LCD with 800x480 resolution which natively supports 5 point touch and multi-touch gestures. A 8-megapixel digital image sensor with auto focus, ambient light sensor, Gyroscope, Magnetometer, and 3-axis accelerometer makes up the rich feature-set. The VEEK-MT2-C5SoC upgrade kit for C5SoC interfaces C5SoC board through HSMC interface. The kit provides customized HSMC cable and acrylics for C5SoC FPGA mainboard and MTLC2 LCD module to be assembled in a cubic form. The kit also provides useful reference designs for software developers to build comple embedded systems.